When was the last time you really reflected and appreciated everything that you've been through in life? If you were to go back in time and speak to your younger self at a key point in your history, what advice would you give? What have been the big realisations and lessons you can now appreciate from your past experience? 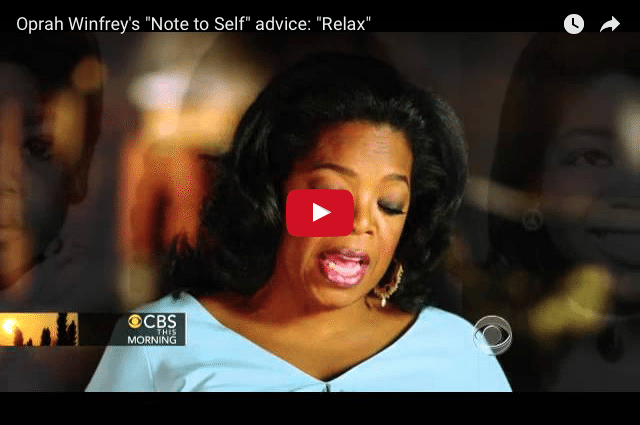 This is exactly what Oprah Winfrey does in the video below; as although now a legend, she gives us an insight into just how human she is as she has faced the same fears and insecurities we can all struggle with. How about you giving this idea a go yourself - what could you get out of it? Learning to understand ourselves is a great way to help us find the strength and courage to overcome our challenges and fears. Click here for a great example from renowned Life Coach Tony Robbins ... as he shows us just how powerful this can be.